 Built in 1834 in the middle of the Bordeaux vineyards, the Château Camiac hotel is surrounded by a 12 hectares garden with a stunning view on the valley. Located between Sauternes and Saint-Emilion, at the heart of a valley in the « Entre-deux-Mers » area in Gironde and only 25 minutes away from Bordeaux, the hotel offers you 14 charming rooms. Every rooms brings you the comfort you need for a nice and relaxing stay (such as holidays, weddings or seminars) in the Bordelais.